LEGAZPI CITY (November 21) - Ten Pastores groups will vie for the attractive prizes in this years’ Biggest Traditionally Colorful Yuletide Singing and Dancing Competition, “The Bicol Pastores 2017” on December 12, 2017, 4:00 PM at the Peñaranda Park, Old Albay District, this city. The “Pastores” are the biblical sheperds who sang carols for the baby Jesus during the first Christmas in Betlehem as they have nothing to offer for a gift. 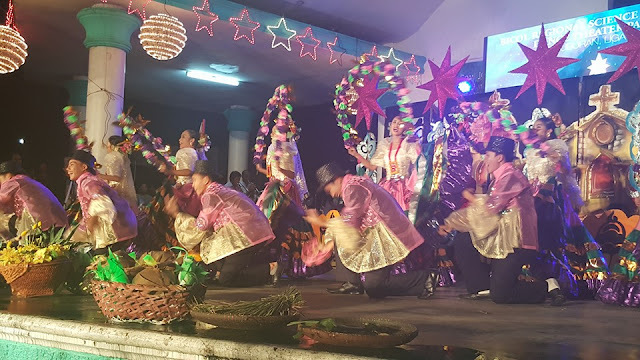 In this modern time, “Pastores” is taken as a group of young men and women in colorful attire singing and performing interpretative dances with their “Pastores Arco” in graceful synchronized movements to the tune of “Pastores a Belen”, an original Christmas carol composition of Dr. Jose Rizal , our national hero. Bicol Pastores is a unique preservation of the Bicolanos’culture and heritage during the yuletide season. Bicol Pastores is an original project of DZGB-am in the late 1960’s. In the 80”s the Department of Tourism Regional Office 5 joined efforts with DZGB-am to make the activity an annual and traditional Christmas activity. The group shall be consist of both male and female performers not below 14 and above 30 years of age. Each “Pastores” group shall be allowed only one performance (appearance) which shall be the basis of the judgement which shall run for 5 to 8 minutes including the entrance and exit. In excess of 8-minute performance, a deduction of one (1) point from each judge will be made from the total point score, the same is applicable for the performance that is less than 5 minutes. Seed money of Php7,000.00 to each participating contingents wil be given on December 1, 2017 at 2:00PM at the DOT Region V Office, Regional Center Site, Rawis Legazpi City which will be followed by drawing of lots thereafter. Prizes for this year comprises the following: First Place Php100,000.00; Second Place Php75,000.00; and Third Place Php50,000.00. Best in Street Dancing prizes was pegged at: First Place Php10,000.00; Second Place Php8,000.00 and Third Place Php5,000.00. The Best in Costume prizes was increased to Php10,000.00; Second Place Php8,000.00 and Third Place Php5,000.000 respectively.